John Mavuma Nembula was born on 1 July 1860, at Amanzimtoti, Natal to Ira and Laura Nembula. He was one of their ten children. Nembula was the grandson of a chief of the Amaqwabe tribe, which in the early 19th century, lived near the Tugela River, in Natal (now KwaZulu-Natal). His father Ira Nembula arrived as young boy at a mission station in Natal established by Newton Adams. He was converted into Christianity and in 1847, was given the additional name of Ira, in honour of a brother of Newton Adams. Adams was one of the missionaries sent by the American Board of Commissioners for Foreign Missions (ABCFM) from Boston, Massachusetts (USA) in 1834. Ira Nembula over the years worked for Dr. Adams and in return received an education. Since Newton Adams and his wife, Sarah, had no children, their pupils were brought up as members of their family. In 1872, the American missionaries ordained Ira Nembula as a Congregational Minister. During his residence at Amanzimtoti, Ira married Laura, who was educated at the mission school and was named after a sister of Newton Adams. Amanzimtoti was then a rural area in a remote and rather poor where few educational opportunities existed, especially for Blacks. Nembula passed away about 1886. John Nembula received his early education at Adams Mission. In 1881, the ABCFM sent him to Chicago, Illinois, to assist with their publication of a Zulu translation of the Bible. In addition, he studied at the Preparatory Department of Oberlin College in Ohio from 1882 to 1884. 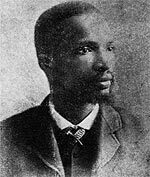 After publication of the Zulu Bible, John Mavuma Nembula remained in the United States. Supporting himself, partly as a copyist because his handwriting was so neat, he studied further in Michigan and in Illinois. In June 1885, after a one-year course, he graduated with the Diploma in Electro-Therapeutics from the University of Michigan. From here, Nembula moved to Chicago, where he was admitted as a second-year medical student to the Chicago Medical College of the Northwestern University. He studied there for two years from 1885 to 1887. In March 1887, he received the degree of Doctor of Medicine from the Northwestern University. After graduating, he worked for some months in the Evangelical Deaconess Hospital in Chicago, a hospital that no longer exists. By January 1888, Nembula was back in Natal. In March of that year, Natal Medical Board gave him a licence to practise and dispense medicine within the Colony. Nembula was the first black person from southern Africa to qualify and to practice as a physician. For a while, he taught physiology and hygiene at Adams College in Amanzimtoti. In March 1889, the Governor of Natal appointed Nembula as District Surgeon for the Division of uMsinga. Like other district surgeons, Dr. Nembula was paid a salary of £100 per annum and enjoyed the rights to certain fees and to private practice. While the young South African Medical Journal waxed eloquent over 'this solitary diamond', the Natal Mercury reported the indignation of the whites at Pomeroy at having a Zulu for a doctor. However, the local magistrate testified to his ability: 'He executes his duties satisfactorily,' he wrote officially to Pietermaritzburg. In his area, a new government-funded cottage hospital opened in 1890. About 1893, Nembula returned from uMsinga, to live in his birthplace, Amanzimtoti, where he was appointed by the ABCFM not only to teach hygiene in the mission schools but also to work with the medical missionary Burt Nichols Bridgman, MD, in the newly established medical department and hospital of Adams Mission. About the end of September 1896, he left employment with the ABCFM Mission at Amanzimtoti and took up residence at Maphumulo, some 100 kilometres away, where he had been appointed District Surgeon. Nembula married Emma Engcobo (Welcome) in Pietermaritzburg, Natal, in August 1889. Their daughter, Cora Constance, was born in 1890, and two sons, Gaius Valentine and Silas Albert, were born in 1893 and 1895, respectively. Nembula occupied his new post for only a few months before he died on 30 January 1897, after a short illness. Emma, his widow, died in 1918 in Johannesburg.